Every year, Stampin Up comers out with a new Annual Idea Book & Catalog. This means we get tons of new goodies every year. Yay! This also means that we lose tons of goodies every year to make room for those new products. Boo! The Retirement list was released on Monday 4/18. I’ve now had a chance to go through it and I’m seriously going to miss some of these products that are going away. Ugh. In honor of the retiring list, I’m sharing in no particular order my 10 favorite things that will be going away. 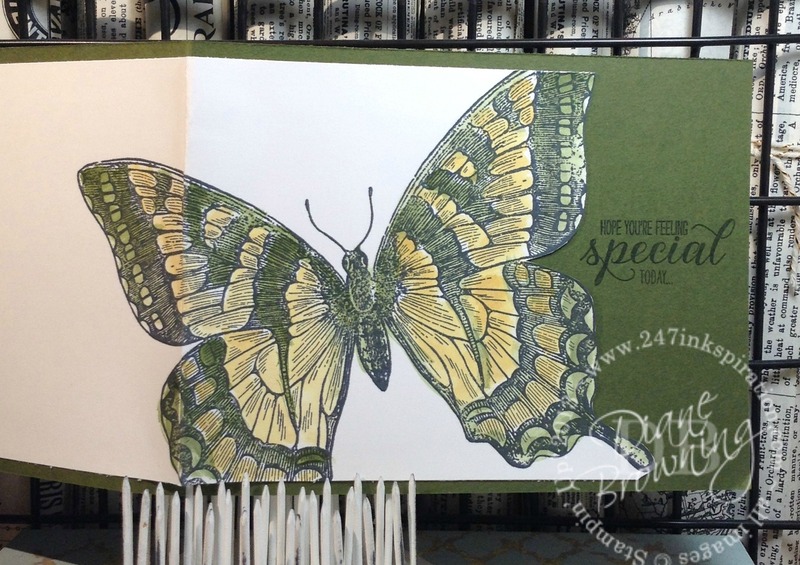 Here’s today’s card, which uses the retiring Swallowtail stamp set and Mossy Meadow. You’ll notice there aren’t any embellishments or ribbon on the card. I wanted to keep the focus on the butterfly itself. 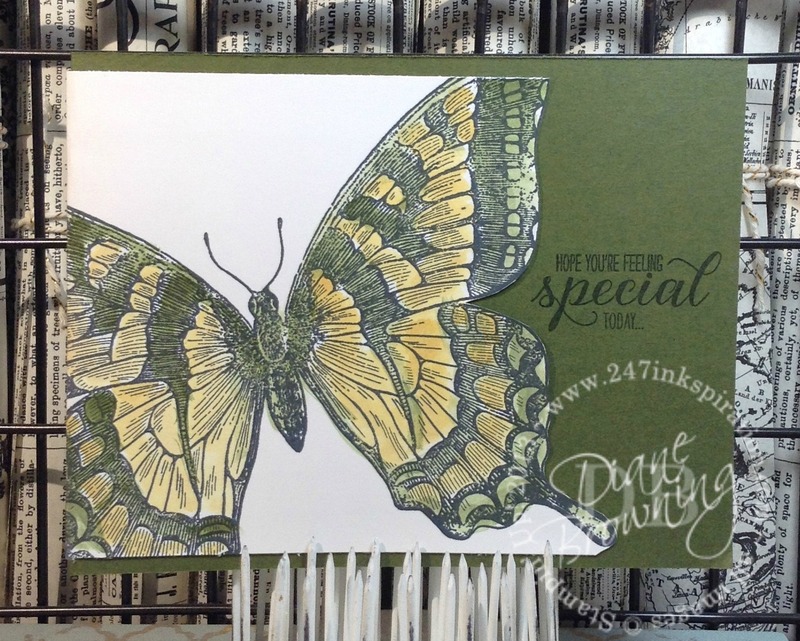 I purposefully stamped the butterfly so it would wrap around the backside of the card to make it look larger than life. If you want to replicate this look at home, just remember to stamp your image before you score/fold your paper or you won’t get a nice even image. Every year, most of the items on the Retirement List sell out – some in just hours. The accessories, ink, and paper tend to go first. 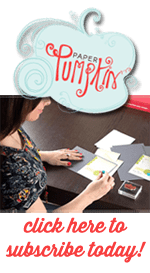 Stampin Up will usually continue to manufacturer the stamp sets through the end of the catalog period unless they run into a manufacturing issue. I’ve learned not to wait to purchase things at the last minute because they may already be gone. This is the link to the Retirement List so you can check it yourself. You can click on my Online Store button and it will take you right to my shop. Stampin Up now has a new feature that when you add an item to your cart, if the inventory status is low or if the item is on backorder, it will tell you as you add it to your cart. If you’re wanting to purchase items on the Retirement List, please don’t wait. I would hate for you to miss out on something you desperately wanted. Once those retiring items are sold out, they are gone.